I lead photo tours. There are good tours and not so good tours. In my opinion what makes a good tour is a leader who can adapt to the participants. Knowing which participants want to simply shoot in their style and what participants need assistance and photographic training. Gio was a master at both. As part of reddotbluedot.com we are on a worldwide trip that is focused on photography. 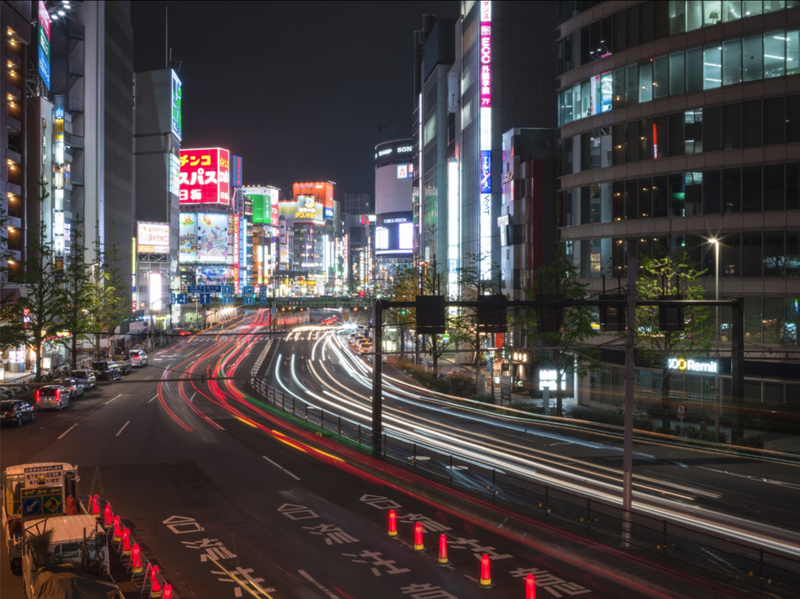 It was great to have Gio discuss his work as well as show us some really great spots to get images at night in Tokyo. Great tour. Giovanni was my photographic expert for the night tour and I had really good time with him. First we discussed the plan for the night and then he took me to some places I did not even know that these could exist. As we walked around he suggested me different locations that could be interesting for me to see and they all were. As I am not beginner as a photographer I did not need very much technical advise but he sure was very competent. I asked about different tours he takes people and I would like to go on a longer trip with him outside Tokyo - I am very convinced he knows the country and he knows photography. During a week in Tokyo, we booked two tours; one in the early morning and the other at night. Giovanni was our guide for both and he is a very cool guy; knows Tokyo extremely well, a fluent Japanese speaker and a highly accomplished photographer too. His tours were both enjoyable and informative; we found all kinds of places that we would never have discovered on our own, and learned a lot of tips to improve our photo skills. All done in a relaxed, friendly and flexible style. I highly recommend Aperture and Giovanni for anyone interested in becoming a better photographer and looking to get more out of their visit to this magnificent city. I did the 2.5 hour night time photography tour with Giovanni. We met up just before the appointed time and had a quick beer while Giovanni checked my knowledge and importantly, what I wanted to get out of the session. As I am just starting to get into Street photography that is what we focused on (excuse the pun) and Giovanni took me to some ideal locations and helped develop my eye and improve both my composition and my technical knowledge. We visited about 5 different locations, all of which were interesting in their own right but more importantly excellent for street photography. Giovanni was very knowledgable, patient and helpful and I learnt loads and came away with some good pics, but more importantly improved technique which helped me the next day when I put into action what I had learnt at the Tokyo fish market. I would not hesitate to recommend this tour, it was good fun, good learning and good value.